The results are in for ConventionSouth’s list of the Top Resorts with Style. In mid-March, ConventionSouth Editors compiled a Facebook ballot with a list of 50 stylish resorts that exceed expectations. 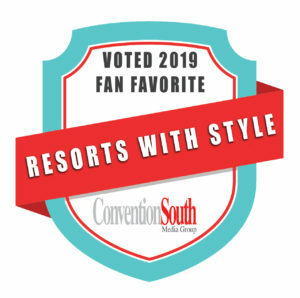 From those resorts, ConventionSouth readers and Facebook fans were asked to vote for their top picks. A complete list of the 50 resorts nominated by ConventionSouth editors can be found on ConventionSouth’s Facebook page.